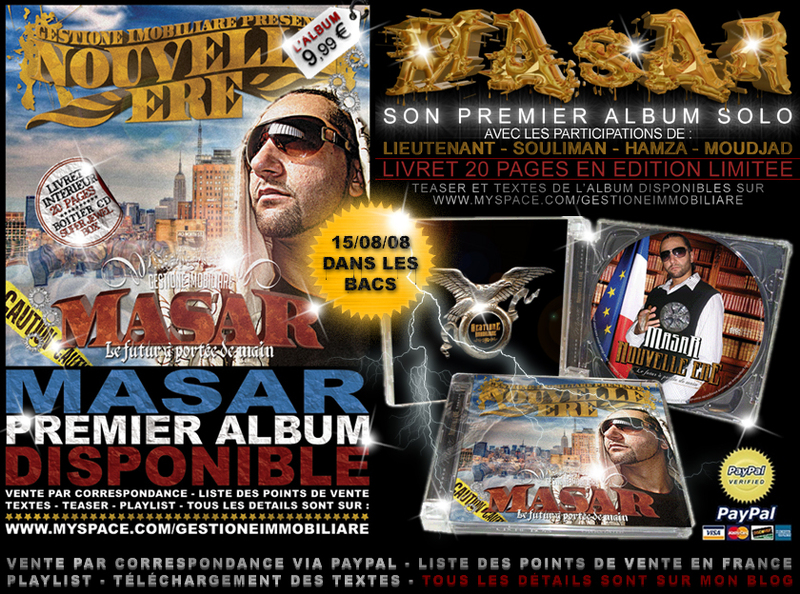 Masar’s album “Nouvelle ère” is now available on YouTube. All songs has been Produced, Mixed & Mastered by Masar. Physical copies are available with a super jewel box and a 25 pages booklet Designed by Masar.